This listing is for one bottle (12.0 ml / .41 fl oz) of Strawberry Eclair. Swatches, courtesy of @gotnail, @littlemermaidnailedit, and @dsetterfield74, display 2 to 3 coats of Strawberry Eclair. Strawberry Eclair is part of the Chocolate Bar Collection. 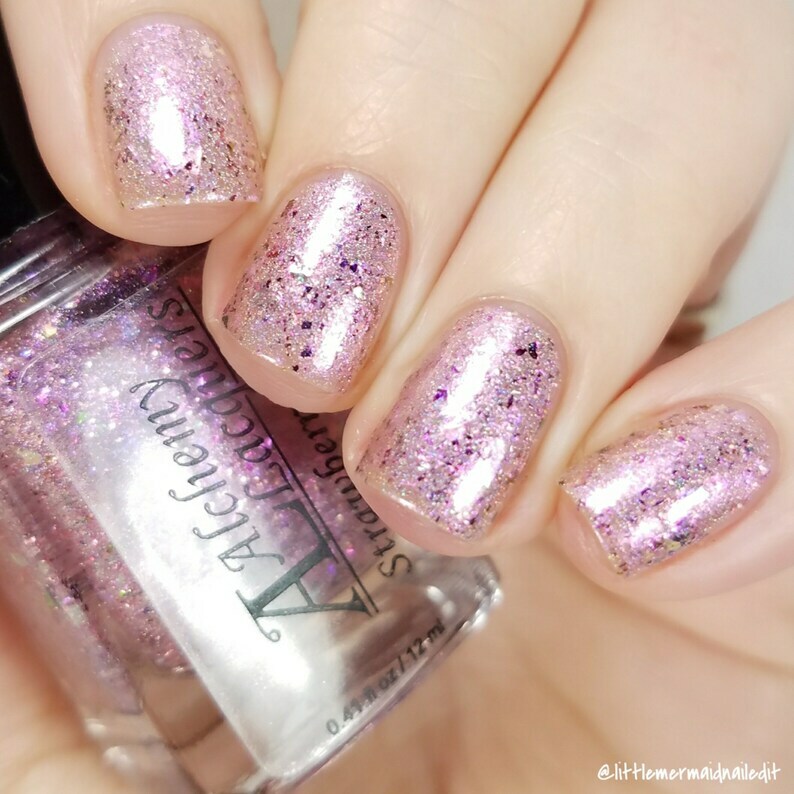 Alchemy Lacquers are all hand blended, in a 4-free base. This means that the lacquers does not contain formaldehyde, formaldehyde resins, DBP, or toluene. Each bottle contains two stainless steel agitator beads and a brush.